Get ready for the ride of your life! In this odyssey of the mind, you will wonder what is real and what is fantasy. Susan M. Obijiski’s Dreams of the Many is a far-reaching metaphysical novel that plays mind games, but the stakes are extremely high. When his strange dreams first started, famous actor Brody Murphy paid little attention. What he could not know was that these dreams would change his life and test his sanity. The person controlling his dreams is a young autistic boy named Casey, and for him, the dreams are more than just fantasy; the outcome will determine Casey’s future. Brody discovers he is one of 10 mind travelers brought together in a surreal dream world, one designed to help Casey overcome his afflictions and live a normal life. Some of the travelers will succeed and others will fail, but all must have the courage to overcome their nightmares. 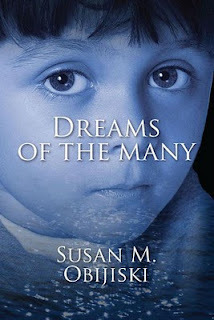 Dreams of the Many is an insightful story about shared humanity, and a reminder of our capacity to overcome our fears, and become what we were meant to be. Adventures of the mind are most intriguing ones. Makes you think about what is really possible in this life experience. Thanks for sharing your creative juices to give us this wonderful work!